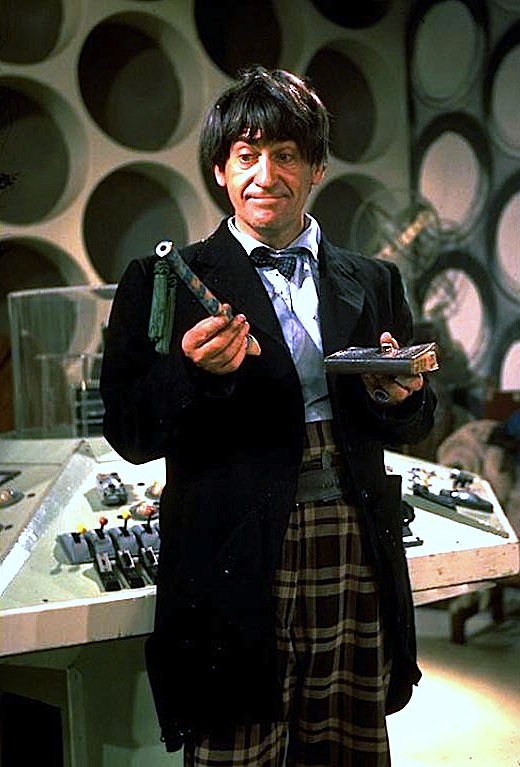 When William Hartnell became Patrick Troughton, it wasn’t just his face that changed – his costume miraculously regenerated at the same time (see left). 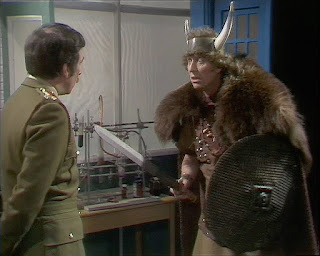 After entering the TARDIS having skipped his hospital bed (I see a pattern emerging here . . .. ) he comes out in a viking outfit, complete with shield, sword and horns (see right). 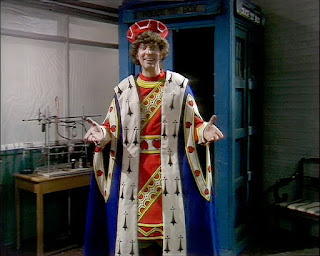 Then he comes out dressed as the King of Hearts! 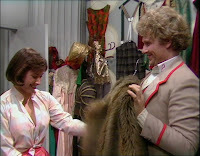 This got me thinking as to where this costume had come from. 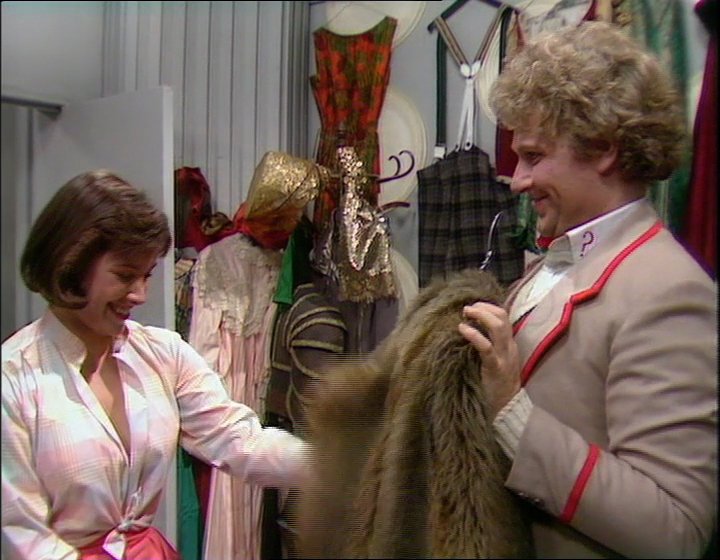 They wouldn’t have gone to the trouble and expense to make it specially, so it must have come off the rack at a film costume suppliers – probably Angels. 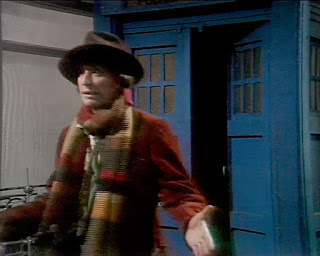 The episode was shot in 1975, and I had a brainwave that there had been a big-budget film version made in 1972 with an all-star cast. 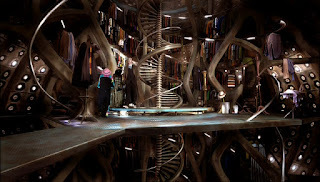 Luckily I have it on DVD, and sure enough, it turns out that The Doctor is wearing the King of Hearts costume (see above, right in picture), though with the hat worn by the Knave of Hearts (see above, centre in picture) – who, ironically, was played by Rodney Bewes who later appeared in Resurrection Of The Daleks. 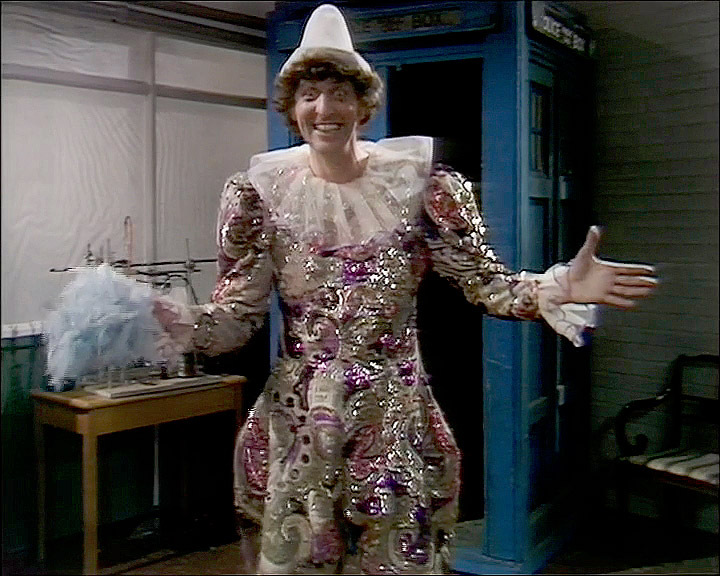 Anyway, back to the scene . . ..
the Doctor is then seen in a clown’s outfit – not unlike that worn by David Bowie in the Ashes to Ashes video, though this isn’t that actual costume. Finally after all the frivolity, The Doctor bursts out wearing his fully worked costume. Perfect, as The Brigadier exclaims. This costume-box appraoch was to occur again for Colin Baker (having skipped a generation) and again for Sylvester McCoy. David Tennant’s transition scene is also a throwback to this, but a bit more reserved.